This is one caravanning holiday a group of friends will never forget. From the peaceful escapism of a lovely lakeside retreat, these unlikely heroes become embroiled in a fight, not just to save themselves, but the entire planet. A series of strange occurrences on Earth eventually sound the alarm bells as army of unmerciful creatures plot their invasion. With our heroes already captured and locked away at the edge of the galaxy, can anyone save Earth? This is good versus evil. And with all of humanity at stake, there can only be one winner. 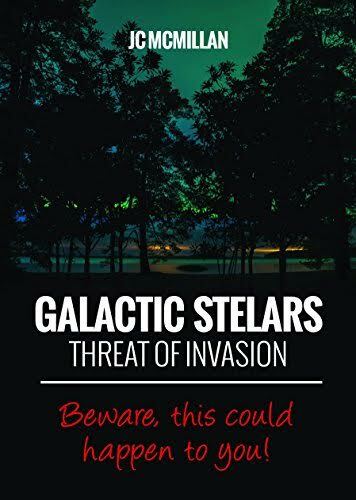 Galactic Stelars is a gripping, life-changing adventure that brings out the best in a bunch of mates as they battle to save everything they have ever known.